Check out these steal-worthy summer wedding ideas and tips before you start planning your warm weather soirée. Summer has long been one of the most popular times of the year to get hitched. Whether you’re getting married on the beach or hosting a romantic garden ceremony, we’ve got all the summer wedding ideas you need. We love summertime weddings for their all-around relaxed vibes, sunny skies, and nights dancing under the stars. If you’re getting married between June and September, take a peek at these summer wedding ideas. 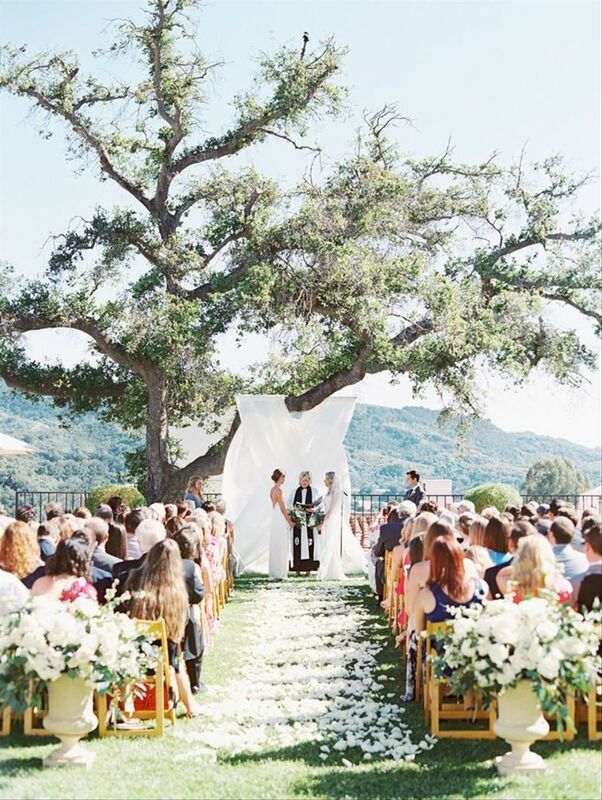 Outdoor venues are a top choice for summer weddings, especially for couples who want to take advantage of the season’s warm temperatures and sunny skies. Vineyards, gardens, country clubs, and barns or farms are some of the most popular venues for summer weddings. Another favorite for couples getting hitched during the summer months — and this should come as no surprise — are beach and waterfront venues. If you’re lucky to live near a body of water, it can serve as a beautiful backdrop for your nuptials. Even if you have to drive a few hours to reach the water, it can be a great excuse to have a “destination” wedding that’s closer to home and doesn’t require too much travel. We’re all for hosting your wedding outdoors, but we should mention that Mother Nature can sometimes play an unwanted role: thunderstorms, bugs, super-hot temperatures...yikes! 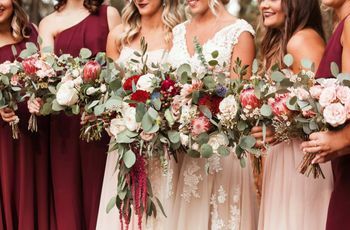 While these probably won’t ruin your big day entirely, they’re definitely annoying inconveniences if you have to deal with them. 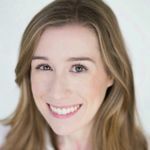 If you dream of having an outdoor wedding but can’t get past the “what if's,” then look for a venue with an indoor-outdoor hybrid space — for example, a riverfront country club with floor-to-ceiling windows that showcase a stunning view, or an open-air patio that can be closed off in the event of inclement weather. Summer weddings take place from early June to early September. Temperatures and humidity will vary depending on where you’re getting married. If your wedding is taking place on the East Coast, keep in mind that the Atlantic Hurricane season is from June 1 through November 30, though most storms take place from late August through September. For your own peace of mind, do yourself a favor and have a rain plan ready to go, just in case! Ready to pick your wedding colors? 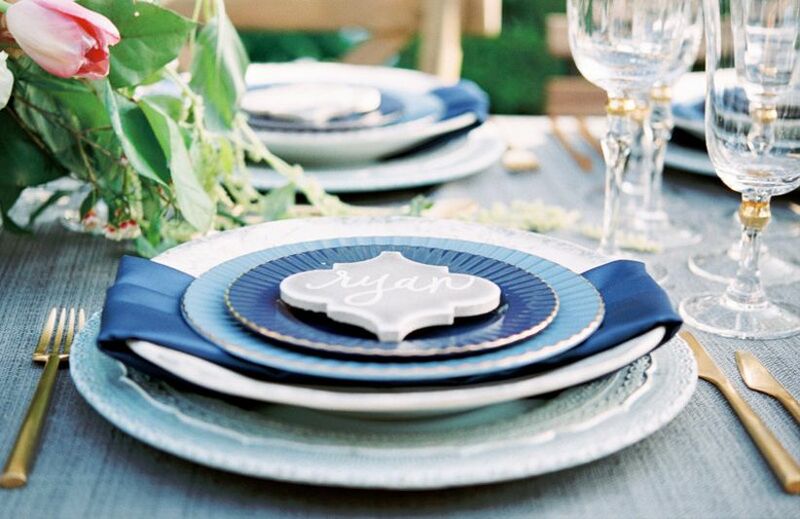 Summer wedding ideas and style are all about creating a fun, laid-back atmosphere, so take that into consideration when finalizing your perfect palette. Bright and colorful wedding ideas are a popular choice for summer events, especially among couples who are getting married at the beach or in a tropical location. For an eye-catching combo that screams summer, pair three or four vibrant colors together. If pastel wedding colors or neutrals are more your style, don’t feel pressured to go with a bold color palette. 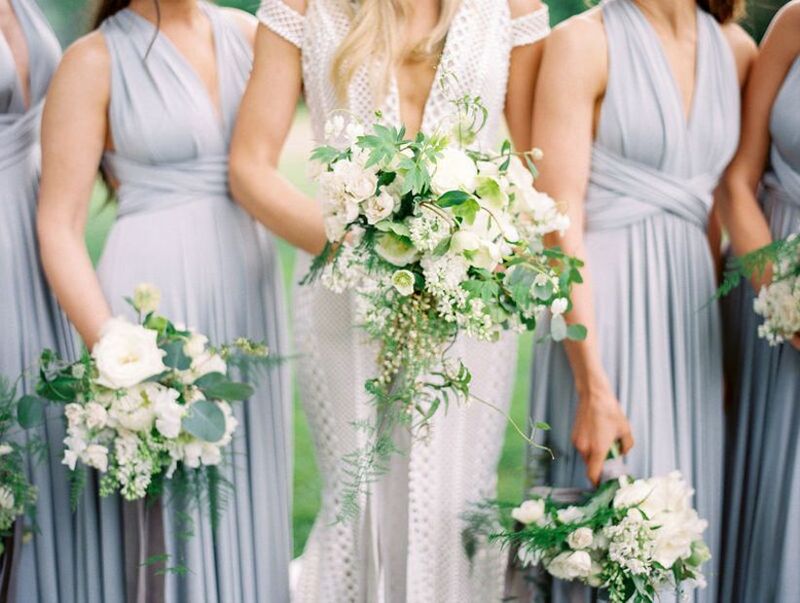 When used at a summer wedding, neutrals and pastels feel light and airy, especially if you’re getting married outdoors in a scenic location. Need some inspo? We love summer wedding ideas with all-white decor. As you’re considering decor and other wedding ideas for summer, try to hone in on a specific style. Do you want a wedding that’s nautical and beachy, or do you envision something that’s classic, vintage, or rustic? If you can’t decide, you can choose a style that reflects your venue, which is always a good idea regardless. 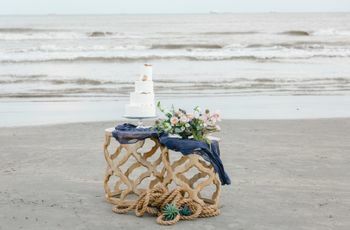 For example, beach wedding style makes perfect sense if you’re getting married near the water, but it might seem out of place if your venue is a barn or ballroom. 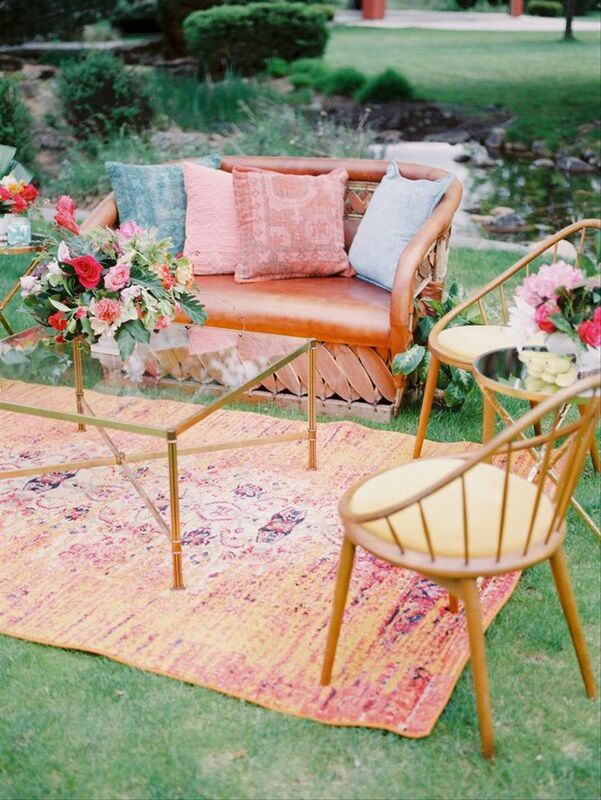 Boho wedding style is a great fit for summertime, especially if your venue is outdoors. 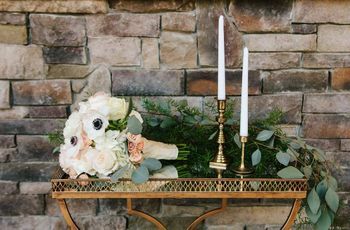 This free-spirited aesthetic focuses on using nature-inspired details, like feathers, greenery, succulents, and geodes. Other bohemian elements, like hanging centerpieces, dreamcatchers, macramé details, and mix-and-match furniture will all bring an easygoing, whimsical feel to your decor. 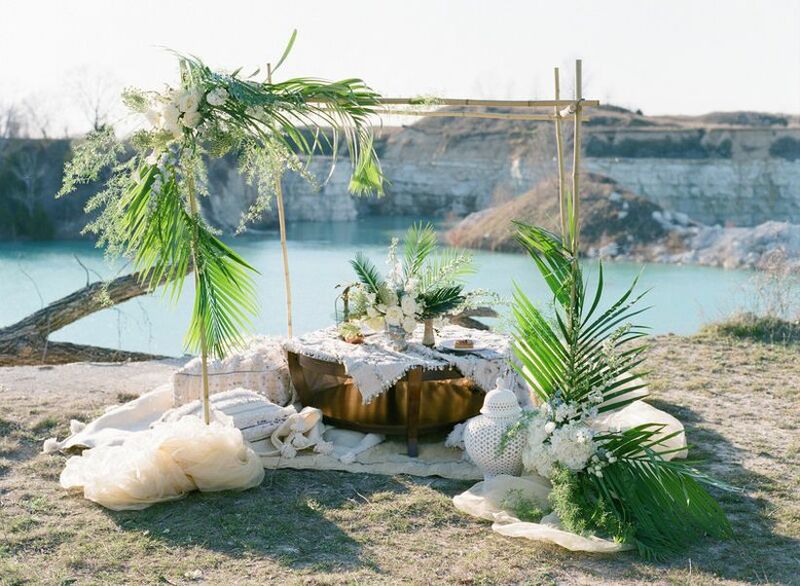 Summer is also a fantastic opportunity to try to out-of-the-box themes, like modern tropical vibes at a garden venue or a mermaid-inspired wedding at the beach. Consider your venue and think of creative ways you can draw inspiration from those surroundings! For anyone having a beach or nautical wedding, ocean-inspired motifs like seashells, anchors, waves, and sailboats are obvious choices when it comes to the wedding stationery. 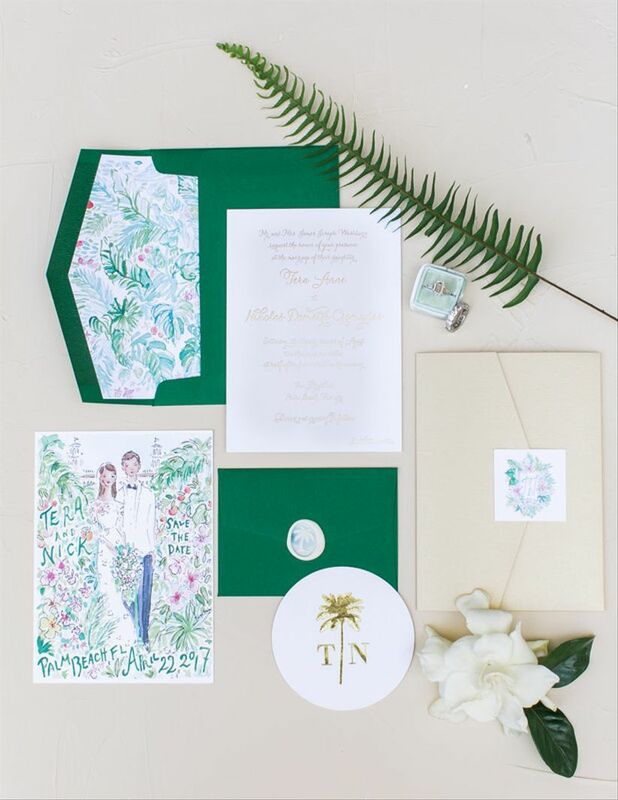 A few additional summer wedding ideas for stationery include watercolor washes, floral patterns, and tropical palm leaves. Overall, the stationery should reflect your venue, color palette, and wedding style to stay cohesive with the rest of your decor. You’ll have plenty of in-season flowers to choose from if you’re getting married in the summer. 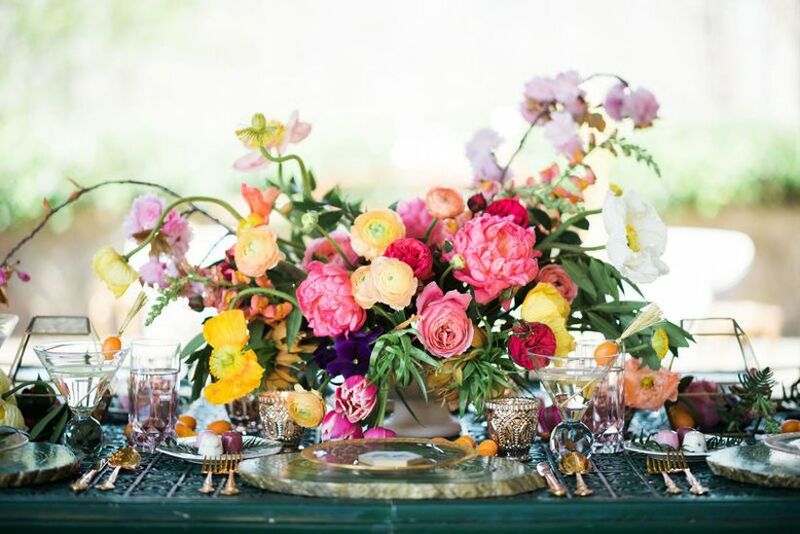 Some of the most popular types include sunflowers, freesias, orchids, garden roses, poppies,, and daisies — all of which lend themselves to cheerful, upbeat floral arrangements that complement the joy of summer. Looking for summer flowers that pack a punch? Try standout blooms like anthurium, proteas (see 20 gorgeous ideas here), stargazer lilies, and birds of paradise. 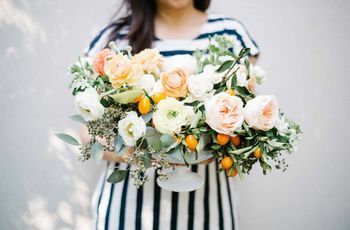 If summer temperatures are very hot where you’re getting married, you’ll want to consider the types of flowers that can withstand high heat. Certain blooms, like hydrangeas and peonies, are summertime favorites but are also considered delicate and quite sensitive to heat. Your wedding florist can help you find the best flowers for your needs. 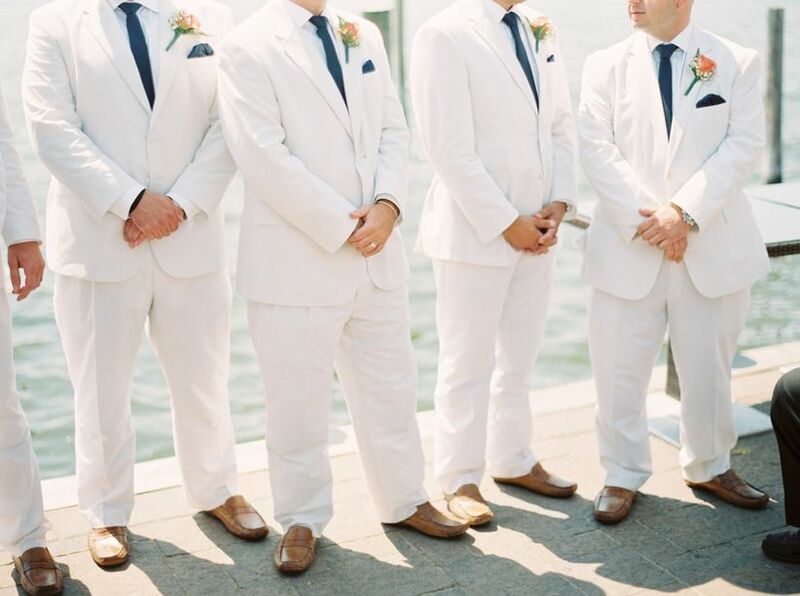 Hot and sticky weather means that you’ll want to keep your attire from being too fussy and stuffy, especially if you will be outside for a large portion of the wedding. If you’re wearing a wedding dress, lightweight styles are your best bet (unless your venue will have the air conditioning on full blast!). Look for dresses that have slimmer silhouettes and are made using airy fabrics, such as organza, tulle, lace, or chiffon — this becomes even more important if you’re on the hunt for beach wedding dresses. Remember: a heavy gown will feel even heavier when you factor in humidity and warm temperatures. The heat can also do a number on your wedding hairstyles and makeup, so be sure to consult with a beauty professional to ensure that you look #fabulous all day long. Opt for an easy updo (get inspired by these summer wedding ideas for hair) and prep in advance to avoid a wedding day makeup meltdown (yes, that includes using sunscreen!). For anyone wearing a suit, summer temperatures are a good excuse to ditch the jackets and heavy materials for more casual options instead. Stay cool in lighter colors and breathable fabrics, such as linen and cotton. Be sure to prep for the sunshine with cute accessories, like sunglasses, sandals, handheld fans, and parasols. Not only will they have you and your wedding party feeling summer-ready, but they serve as playful photo props, too! Just like your flowers and makeup, the summer heat can affect your wedding cake in not-so-great ways. Buttercream icing acts differently in heat depending on the exact recipe, and fondant cakes can start to sweat or form air pockets. Your baker can advise you on the best heat-proof solutions for your needs during your cake consultation. 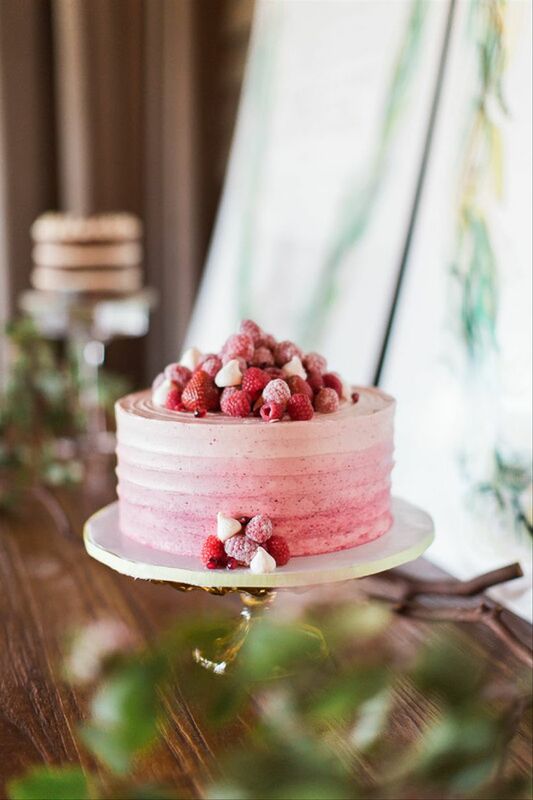 If you’re feeling trendy, skip the frosting (and a potential cake fiasco) altogether by serving a naked cake or semi-naked cake instead. Dress the tiers up with fresh berries or flowers, which look beautiful both in-person and in photos. Win-win! Be sure to have a lot of cold refreshments on hand as well. 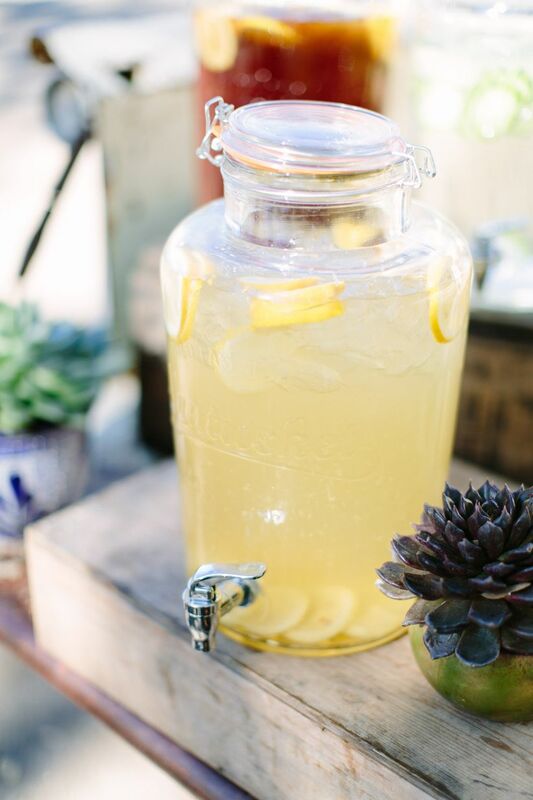 Keep thirsty guests happy by offering a self-serve beverage station with ice water, lemonade and iced tea. 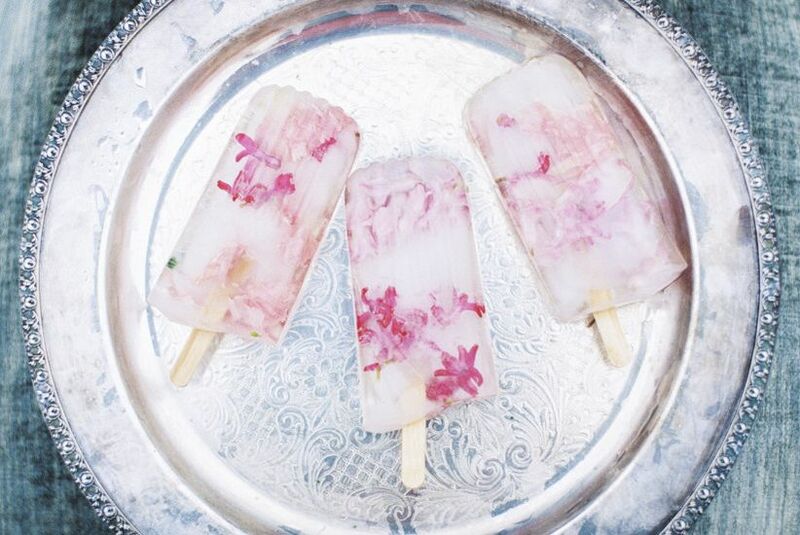 Treat everyone to fun cocktails or pop-tails, or surprise them with summery treats like s’mores, snowballs and ice cream.